Tasting VNQ Riesling is a very special sensual experience. This is to introduce an exclusive, dry wine from a top region in a favoured geographical area. It is hand-picked and pressed traditionally in a wooden winepress. 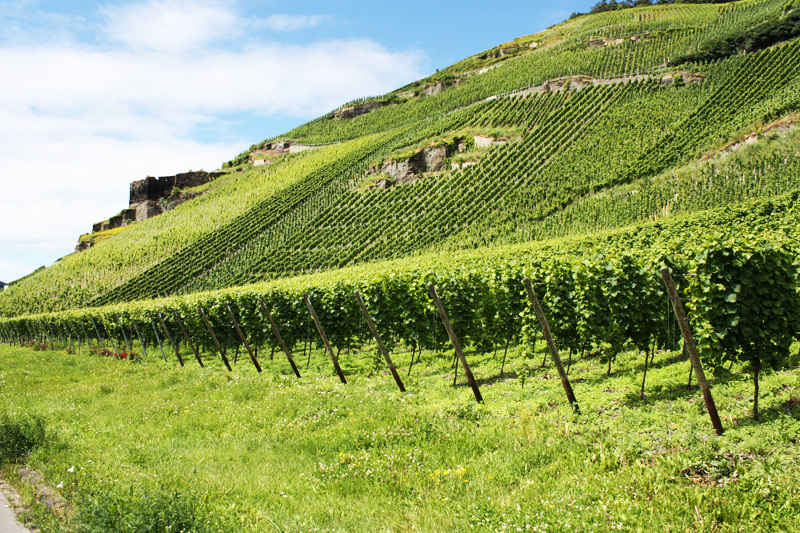 The vines grow in mineral slade soil spoiled by the warm sun and then perfectioned by using the considerable know-how gathered over many decades. We have combined traditions to create something new. This unfiltered Riesling offers a full and superb flavour and is only produced in small amounts. The result is perfect enjoyment for the taste buds of a connoisseur. 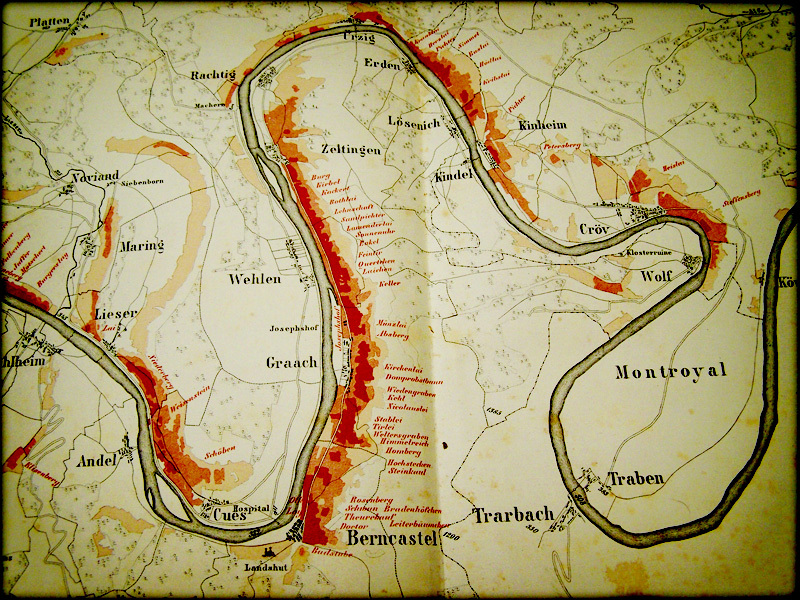 One of the oldest maps of vineyards dating back to 1868 (marked in dark red on the map) shows the location of the VNQ Riesling „Zeltinger Sonnenuhr“ to be one of the top locations of the wine-growing regions of Mosel, Saar and Ruwer“. This still holds true for today. To give a clearer overview, only three classes in different shades of red were shown on the map. The map can be found in the city library in Trier. The VNQ Riesling was developed by Gerd Kappes, Master Winegrower, and reflects the experience of a long wine-making tradition. The vineyard was first mentioned in the 17th century. Numerous historic documents are in possession of the owner including the map of vineyards of 1868 „Vineyard locations of Saar and Mosel of 1868“.